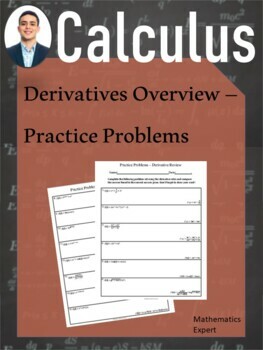 This problem set (15 problems) challenges students to use all of their derivative rules and allows them to check their answers and gain immediate insight into any mistakes made. This is a great review of the constant rule, power rule, logarithm rule, and everything in between! 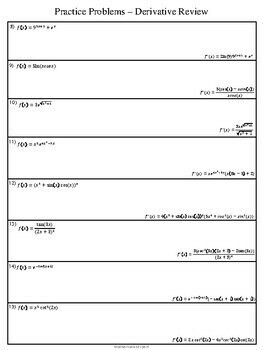 The simple format can be done in class or as a take home assignment.